Catholicism sees in Jesus Christ the full embodiment of God. Since God became human, then God is seen, touched, and heard in the context of human living; this is the principle of sacramentality. The Church celebrates certain rituals that make the saving presence of God tangible to us in different ways. In Catholicism, there are seven such rituals that we call the Sacraments, with the Eucharist as our core Sacrament. 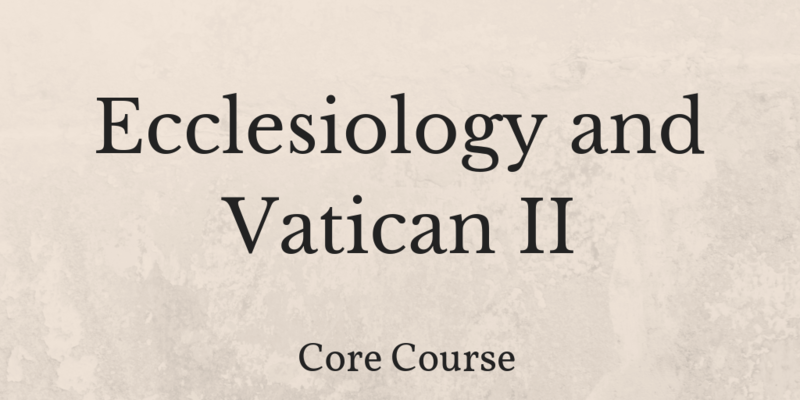 This course aims to foster a deep and understanding of sacramentality and an even deeper appreciation for the seven sacraments of the Church. Distinguish between the nature and significance of sacramentality. Reflect on the theological, celebratory, and pastoral usage of the sacraments. Recognize how celebrating the sacraments confirms our continuing conversion and encounter with God.